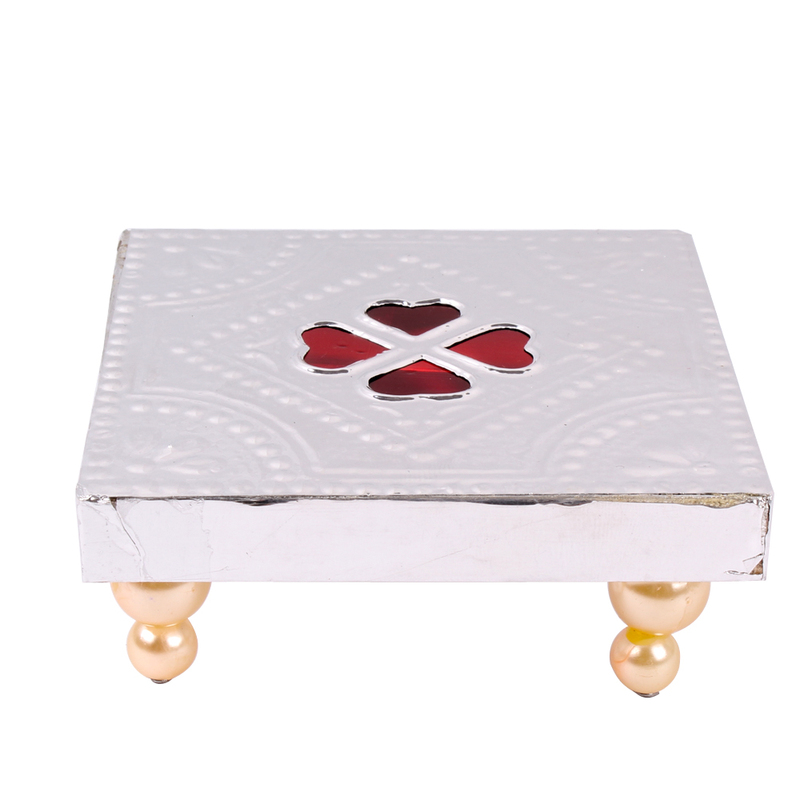 Product Consists : Shell Covered Ganesha Idol (Height : 2.5 inch), 2 Earthen Diya, Roli Chawal along with Designer Silver Chowki. 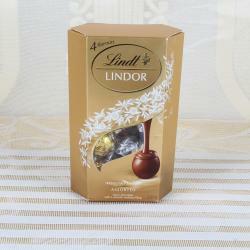 Look at this unique shell covered Idol of Ganesha presented by Giftacrossindia.com. 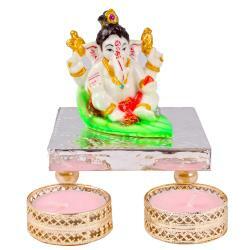 God Ganesha is known for bringing good luck and success. Ganesha Idol is the Lord of success and destroyer of evils and obstacles. 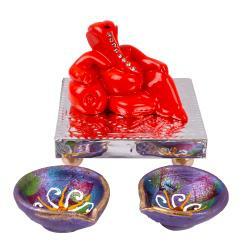 Lord Ganesha sitting denotes his semi-meditation pose which brings good luck. 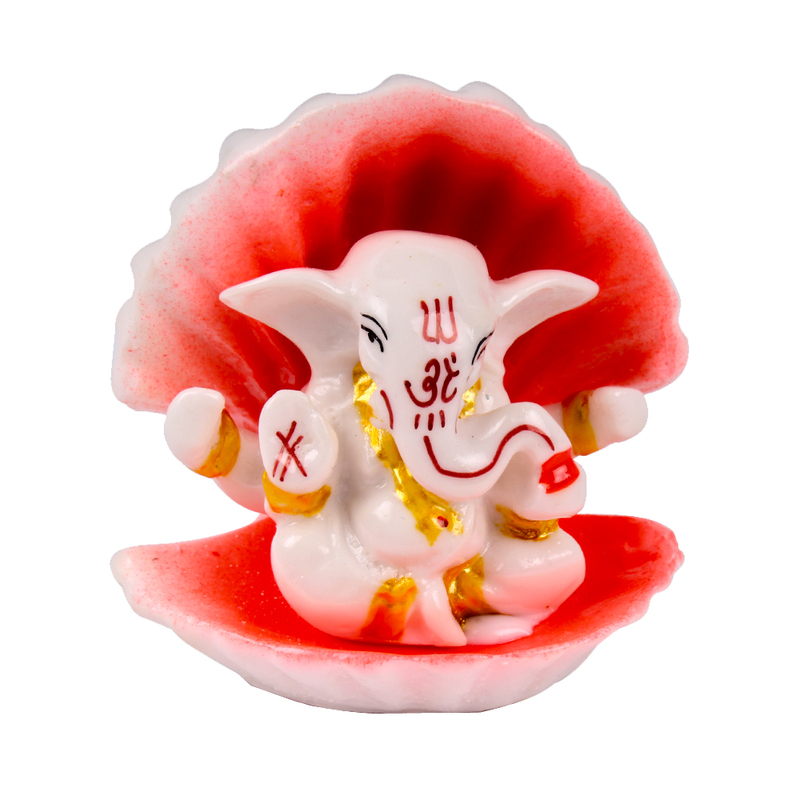 Lord Ganesha idol is known to bring prosperity and happiness in your home and office. 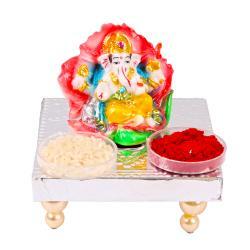 Invoke Lord Ganeshas blessings by keeping this beautiful statue in your home or office. 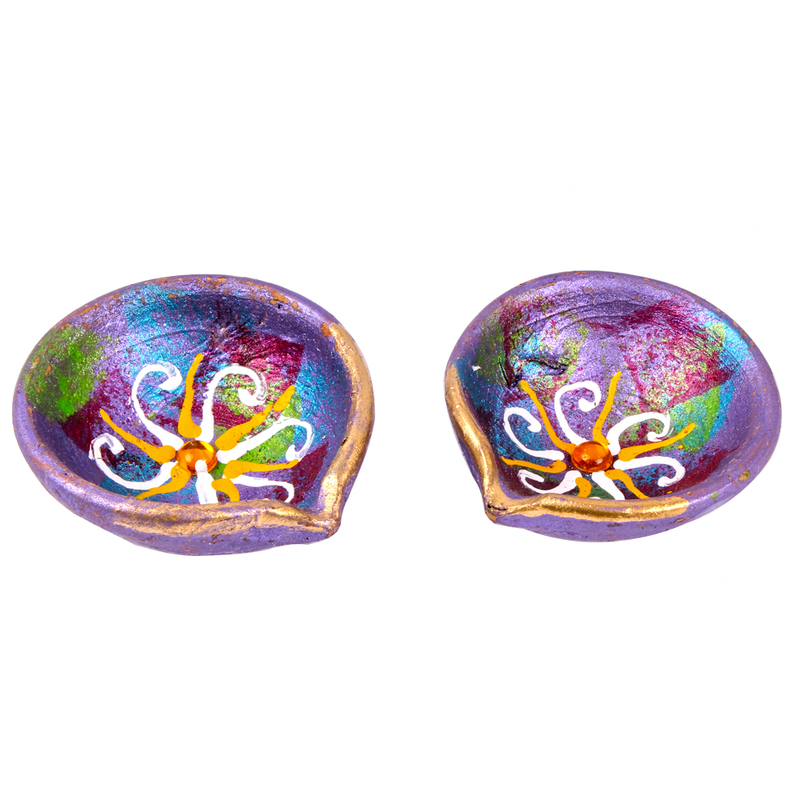 Earthen Diya will give the brightness at your house and office. Diya which does lighting to all our surrounding and spread positiveness in nature. 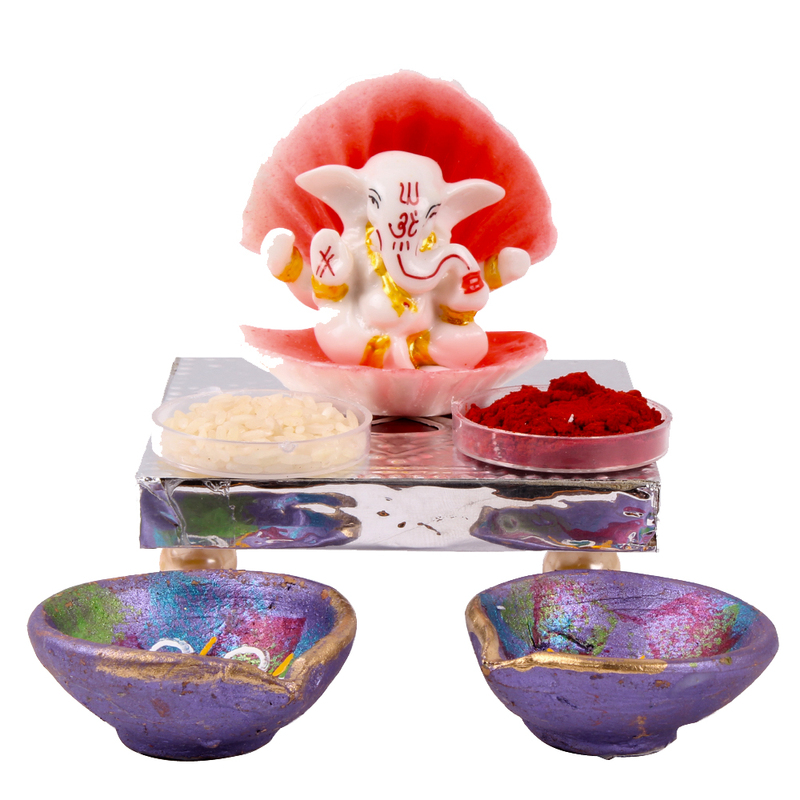 Product Consists : Shell Covered Ganesha Idol (Height : 2.5 inch), 2 Earthen Diya, Roli Chawal along with Designer Silver Chowki.